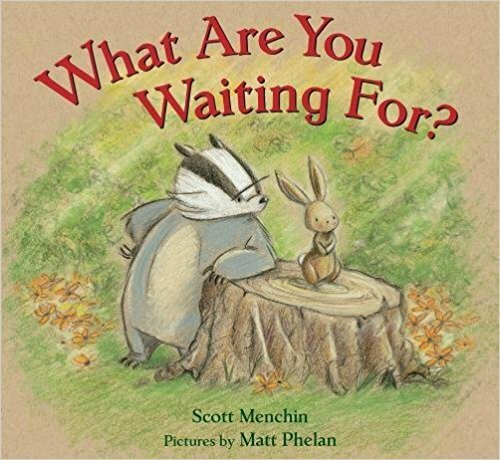 Scott Menchin is the author of the new children's picture book What Are You Waiting For?. His other books include Goodnight Selfie and Taking a Bath with the Dog. 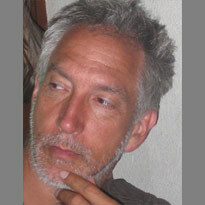 His work has appeared in a variety of publications, including American Illustration and Print Magazine, and he teaches at the Pratt Institute Graduate School. 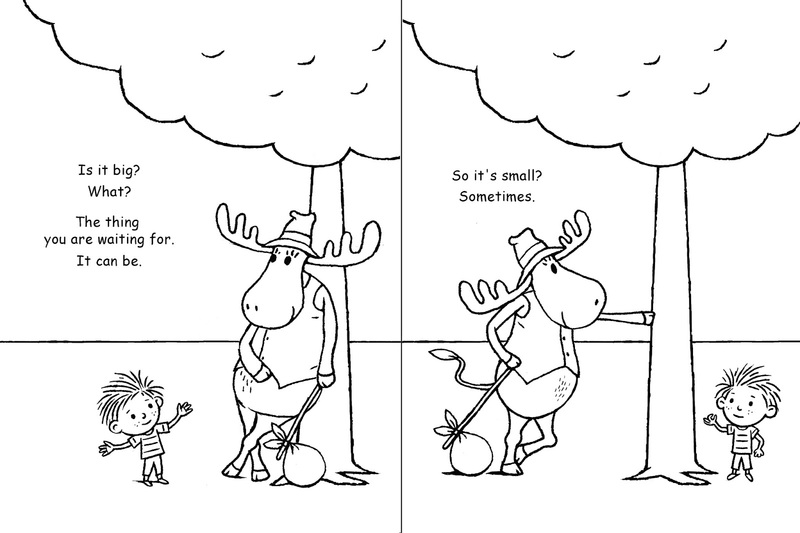 Q: How did you come up with the idea for What Are You Waiting For? 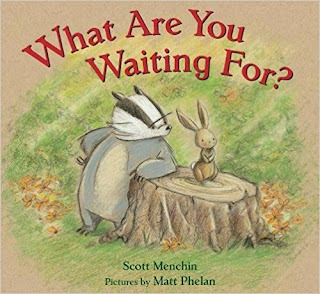 A: I always loved the play Waiting For Godot and at some point I heard the phrase "What are you waiting for?" and thought it would make a great kids book title before I even had an extended idea or plot. 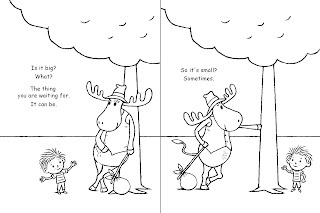 Q: Was the choice of which animals should be featured as the two characters yours or illustrator Matt Phelan's? A: It was Matt's choice. I've attached some of my early sketches for characters when I still thought I wanted to illustrate the book. Q: What do you hope your readers take away from the story? A: Good things are worth waiting for. Always ask questions even if you are being annoying. Q: As someone who has written and illustrated many books, do you have a preference between the two? A: No preference. They are two very different ways of thinking and working. Making art seems like more work. Writing seems more magical. A: I'm trying to develop a book about the cats that live in the Hermitage. A: I hate cottage cheese and liver. I love Van Gogh and basketball.